My first meeting with Bob was simply as a fan. When I was a little kid, my dad passed down a baseball that was signed by some guy named Bob Feller in 1962 (the date is written under the autograph). Not knowing anything about baseball at the time, I thought it was cool but had no idea who this guy was and why my dad thought it was a big deal for me to put it in a safe place. I did as I was told and forgot about the ball. 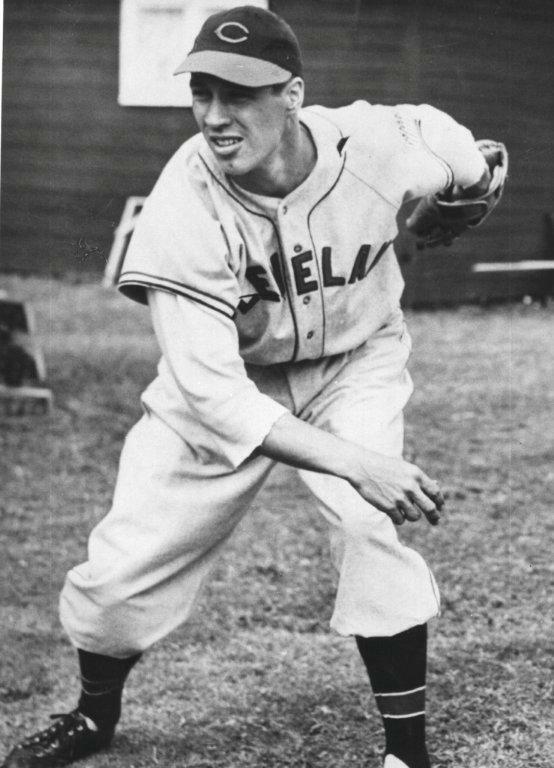 After growing up and learning the game, I eventually learned who Bob Feller was and the “coolness” of the baseball grew. In college, we went down to Winter Haven, Florida (apparently we thought Winter Haven was the spring break capital of the world instead of Daytona Beach–we were quite mistaken)! I heard that Bob Feller was signing autographs, so after a while I made my way down to his picnic table. He was just getting up and had finished signing. As polite as I could, I said, “Mr. Feller…can I please get your autograph on this ball?” He quickly replied, “I’m done signing for the day. Next time get here on time,” and he walked away. It was quickly made clear that Bob did what he wanted and if he was done…he was done. 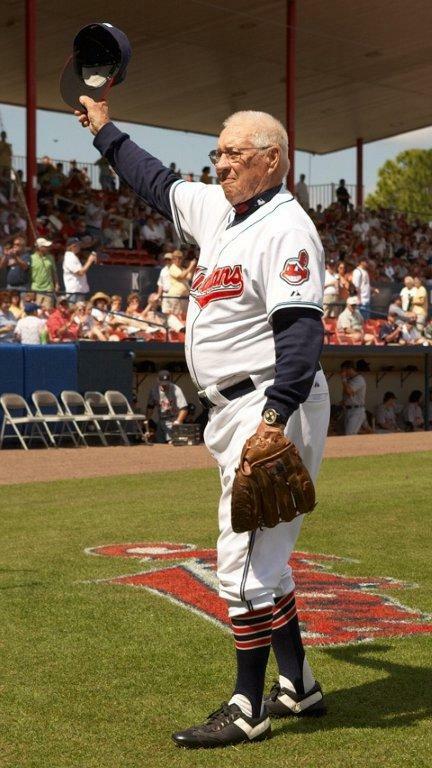 Years later, I began working with the Indians and worked a few months down in Spring Training (Winter Haven) and Bob was a frequent visitor. Since I had met him a few times before at the front offices, I thought I would take a chance and bring up the story of when I had first met him (and how he denied my autograph request). Once he heard me tell the story, he said without cracking a smile, “I don’t remember that, but hopefully that taught you to get to places on time.” The next day, he stopped in the office and left an autographed photo on my desk of him pitching to Joe DiMaggio. I have it kept right next to the ball my dad gave me years before. Today, there was a special ceremony held at St. Paul’s Episcopal Church in Cleveland Heights to celebrate the life of Robert William Andrew Feller. The ceremony was open to anyone. Chris Perez, Shin Soo Choo, Justin Masterson, Sandy Alomar Jr., Manny Acta, Mike Hargrove, are just some of the Indians front office staff/players that attended. Governor John Kasich, Jeff Idelson (President of the Baseball Hall of Fame and Museum), Bill Tunnell (representing the Battleship USS Alabama) and Larry Dolan all spoke at the ceremony. Sports Time Ohio filmed the event and will air it tonight at 6:00 pm. At 92 years old, there is no doubt that every Cleveland fan has a memory that involves Rapid Robert. He was a local icon, a baseball legend and a national hero and everytime we watch a baseball game, he will always be in our hearts. Tags: Bob Feller, Chris Perez, Cleveland Indians, Manny Acta, Mike Hargrove, Sandy Alomar Jr.